Antimalware Doctor is a rogue antispyware program that distributed and installed throught trojans. The rogue detects false infections and displays numerous fake security warnings in order to scare you into thinking that your computer is infected with a lot of malware. It hopes that you will then purchase a full version of Antimalware Doctor. When the trojan that installs Antimalware Doctor is started, it will download, then install the rogue on to your computer. During installation, the fake antispyware application will be registered in the Windows registry to run automatically when Windows loads. Immediately after launch, Antimalware Doctor will start to scan your computer and reports a lot of various infections that will not be fixed unless you first purchase the software. Important to know, all of these infections are a fake and do not actually exist on your computer. What is more, Antimalware Doctor constantly displays various security alerts. However, all of these alerts ara fake and like the false scan results supposed to scare you into thinking that your computer is infected. So you can safely ignore all that the parasitic program gives you. As you can see, Antimalware Doctor is a scam that created with one purpose to trick you into purchasing so-called “full” version of the program. If you find that your computer is infected with this malware, then be quick and take effort to remove it immediately. Use the removal guide below to remove Antimalware Doctor from your computer for free. Make sure the “Perform quick scan” option is selected and then click on the Scan button to start scanning your computer for Antimalware Doctor infection. This procedure can take some time, so please be patient. Make sure all entries have a checkmark at their far left and click “Remove Selected” button to remove Antimalware Doctor. MalwareBytes Anti-malware will now remove all of associated Antimalware Doctor files and registry keys and add them to the programs’ quarantine. When MalwareBytes Anti-malware has finished removing the infection, a log will open in Notepad and you may be prompted to Restart. Eric, what shows your browser when you trying open any site ? 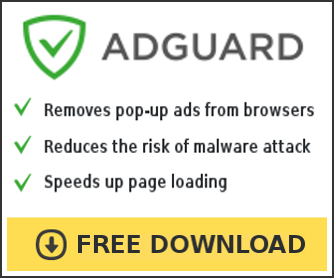 I have malwarebytes anti malware on my computer from a previos virus which happened a month ago. So now the pc is infected with antimalware doctor where pop ups keeps coming up. I can’t connect to the internet either as I’m using my laptop instead and I unchecked the proxy setting but still no connection not even on safe mode with nerworking. I run antimalware it says it got rid of it but because I haven’t updated for a long time maybe that’s why.. But I need to connect to the net to update it. Preet, download Malwarebytes updates from here and move this file to your infected PC. Then install it. Run Malwarebytes and perform a scan. Thanks for that..it looks like it has deleted it as no pop ups for it have come up. Does that mean it has completely gone out of the system? When I do a registry editor and go on HKEY_current_user, software, microsoft, windows, current version,uninstall…antimalware is still there so im not completely sure if it has gone although I have deleted it several times but when I reboot the computer it is there. Also there is still no internet connection. preet, what is your version of Windows ? try ping any site, google for example. Hi, I typed it in and pressed enter.. It says ‘ping request could not find host google.com. Please check the name and try again. Hi please can someone help me i just got the virus and it wont go away who can help me with it??!!!!!!! Should I uninstall malwarebytes when I’m done removing antimalware doctor? My full scan lasted only 27 minutes. Is that even normal? yeah mate i got the virus and it will not let me open any thing i wanna get rid of it? Alvin, if the instructions above does not help you, then ask for help in our Spyware removal forum. Sarah, if Malwarebytes detects nothing during a scan, then, of course, you can remove it. Preet, how to you are connected to the Internet ? WiFi ? Cabel/DSL modem ? mitch, you have tried to run Malwarebytes in Safe mode ? P.s patrik, it says ip address not recognized.. I think the virus changed it or something as every other device like my laptop and iPod can connect to the same internet wirelessly without any problem … It’s just as soon as the pc was infected it could not connect to the net. I have a problem similar to the one Adrienne had, but with a few other twists. I am not able to access any browser – when I try it says that there is a problem and the only place it will take me is to the site to purchase the software. I tried booting in safe mode and I can, but I cannot access most programs on my computer – it keeps telling me that my there is a program trying to send my crdit card info to a malicious site. I cannot open the ad remove programs, but I can get to the control panel – I also do not have a working cd drive so I can’t download a program to another computer write it and then run it on the one that is hijacked. I have seen that you have said to download the program to the ddesk top, but that is also not possible. Is there a way to go in through DOS and possibly disable to program to be able to get on the internet and then download the programs? I have read through everything on here, and don’t see that anyone has had the same problem. Please help. I can’t start my computer, even in safe mode, to allow me to download the software. Coming up with WINDOWS\SYSTEM32 string of messages and then to blue screen fatal system error. Preet, download WinSock XP Fix to another PC, then move it to your computer. Run it, click Fix button. Carole, reboot your PC in Safe mode. Run Internet Explorer, Click Tools -> Internet Options. Select Connections Tab and click to Lan Settings button. Uncheck “Use a proxy server” box. Click OK and click OK again. Download MalwareBytes, run it and perform a scan. Hannah, Normal mode is ok? Patrik, I downloaded winsock xp fix already and clicked on fix but still doesn’t work. Copy all the text below into Notepad. Double Click cc.bat and wait for the dos window to close and log.txt will appear on the desktop. Move log.txt to another PC using CD disk or flash drive. Open a new topic in our Spyware removal forum and post the contents of it into your topic. Never mind, I give up… I’m just getting it done from a professional technician – it’s just been too long and nothing seems to be happening. This malware is so deadly it stays in the system even if you think it is deleted. But thanks for your suggestions anyway, much appreciated.